Steady-state cardio is so 2000s. These days, fitness fanatics are all about short, grueling workouts that can get the job done in the least amount of time possible. It’s the reason why HIIT (high-intensity interval training) may be one of those exercise fads with staying power. A brutal workout that can span anywhere from five to 30 minutes, proponents claim the results are the same, if not better, than a traditional one-hour workout. The problem is, you’ll have to work hard — and we mean hard — to push your metabolism out of its comfort zone and reap the benefits of HIIT. If you’re looking to get an intense, full-body workout in the shortest possible amount of time, it doesn’t get much better than HIIT. Utilized by famous exercise programs like CrossFit P90X and Insanity, you’ll spend 30 seconds sprinting doing high knees or performing push-up burpees, for example, and recover with a low-intensity moves (like crunches), before firing up your heart rate again with another 30 seconds of super-intense exercise. Studies have shown that within months, and even weeks, the body can adapt to these extreme stress levels quickly, getting you into amazing cardiovascular and muscular shape in record time. Research says HIIT regimes improve strength, endurance and muscle tone, while offsetting type-2 diabetes. That’s especially great new for those who previously used the excuse that they were “too busy” too work out. But HIIT training is not without its share of controversy. The intensity of a HIIT workout is what makes it so beneficial, but also more likely to cause injury, especially if the HIIT-goer is out of shape. Furthermore, unless you’re an athlete training for a very specific purpose, you don’t want to be doing all HIIT, all the time. Also Read: Can You Handle This 20-Minute, Total-Body Hit Workout? 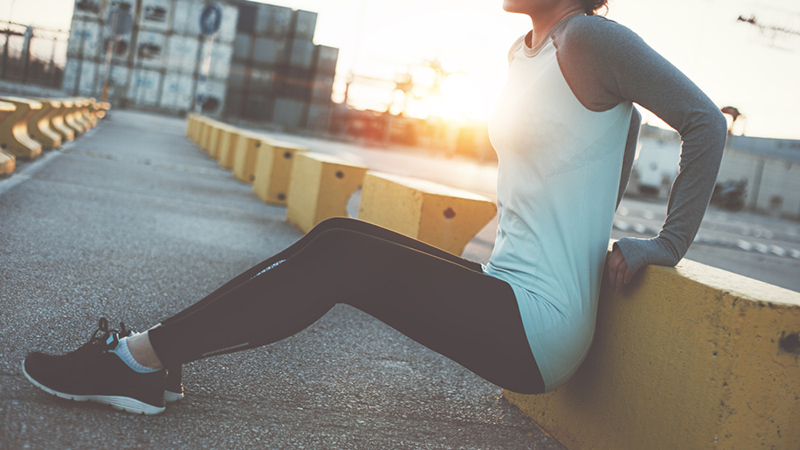 If you’re an exercise newbie, you’ll need to get your heart and muscles warmed up before doing intense bursts of cardio, so start with a session of jogging and some light exercises the day before your HIIT session is due to take place. Make sure you check with your doctor before embarking on a HIIT program, especially if you are over 40, overweight or have a history of heart or joint issues. If you’re already pretty active already and have no health issues to speak of, two to three days of HIIT a week – with 24 hours of rest and recovery in-between sessions – is a solid amount. If your goal is to work out four times per week, two HIIT sessions and two resistance training sessions is considered a good sweet spot. Despite the warnings, high-intensity training has many benefits that go beyond the time you save doing the exercises. Not only will you burn fat more efficiently, but you’ll also get a total-body workout you can customize to your goals. Don’t have access to a gym or weights? Do HIIT. Need a quick warm-up session tailored to your chosen sport? Do HIIT. Want to combine cardio and strength training? HIIT may very well be your answer. A good HIIT program will include exercises that target multiple muscle groups at once to maximize your training. A routine could easily consist of a high-intensity cardio workout like high knees, sprints, or jump rope for a minute followed by another minute of an exercise like weighted split squats, spider-man push-ups, or triceps dips. The goal is to alternate the minute of high intensity with a minute of low-intensity, which allows your heart rate to recover while concentrating on other muscle groups. As for why these quick workouts burn so much fat, consider the science. Phosphocreatine is the high-intensity energy source you use in the first 10 to 20 seconds of any high-intensity exercise. About 20 seconds in, the phosphocreatine wears off, and anaerobic glycolysis in the form of lactic acid takes over. Your body uses this lactic acid as its next source of fuel. Unfortunately, despite the high level of fuel and calories being burned, our bodies can’t maintain this intensity for an extended amount of time – not even if you were a highly trained Olympic athlete. Why? The energy source of phosphocreatine and anaerobic glycolysis is meant to be used by our bodies only in high-stress situations. Usually, we have adrenaline to combine with this anaerobic metabolism to keep us going. This isn’t designed for long-term use. What it boils down to for your body’s fitness level are these two different metabolic states, each with their advantages and disadvantages. The aerobic metabolism takes over when you’re doing a less intense exercise, like a brisk walk or even lifting weights. This energy is for long-term use and endurance. On the other hand, the anaerobic metabolism fires up when you exercise at a higher intensity, with moves such as high knees or jumping rope. The anaerobic metabolism burns the most fat, but since no one can sustain it effectively for long periods of time, it can’t be counted on solely for fat burning. However, if you mix the two, your body gets a chance to blast fat, recover and strengthen muscles, and blast fat again. Another factor of fat burning that often goes overlooked is hormones. Many people, especially women, have trouble spots they can’t seem to effectively target, and our hormones are largely to blame. If your body overproduces a specific hormone or doesn’t use what it makes, it may store it in fat. Having your hormone levels checked by your physician is one step in the right direction, but HIIT might also be another resource to really target those trouble spots. When your body approaches 85 to 95% of VO2 max (maximum volume of oxygen your body can use), a hormonal response is triggered, which can positively affect your body’s composition and anabolism. 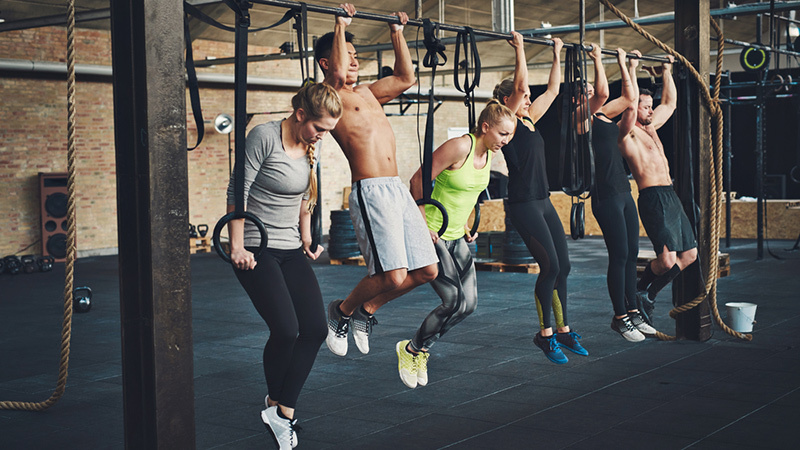 HIIT may be all the rage, but it doesn’t mean you have to immediately drop everything and sign up for a CrossFit bootcamp. Just because you’re embracing HIIT — or for some, MIIT (moderately-intense interval training) — doesn’t mean you need to give up your long jogs, hot-yoga classes or heavy weightlifting sessions. While HIIT training certainly has its benefits, it’s not a one-size-fits-all form of fitness and it won’t work for everyone. 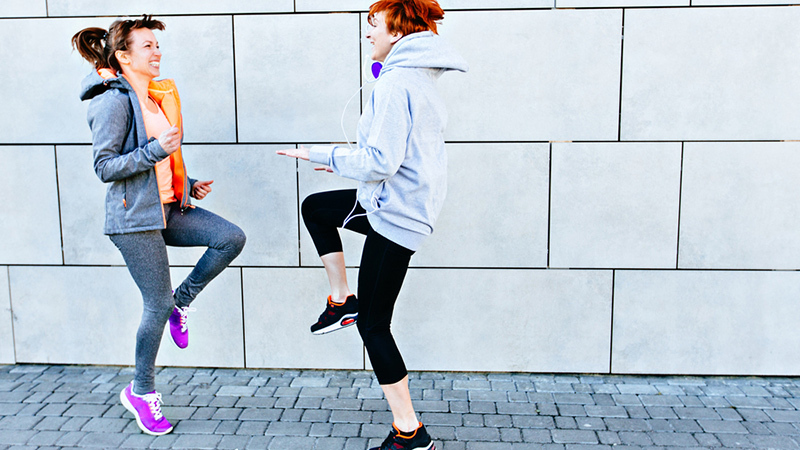 Fitness isn’t about embracing every single exercise fad that comes our way. It’s about discovering and enjoying physical activities that make us feel strong, capable and healthy. Different forms of exercise work for different people, so try a few different styles, including HIIT, and keep going back to the ones that makes you feel like your best self.